RETURNS:We promise superior service which includes 30 days Money Back or Exchange,Customer service reply within 24 hours,Ship Parcel within 50 hours. 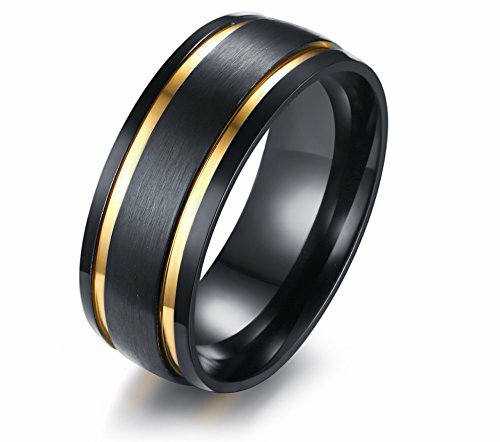 Personalized Custom Men's Brushed Matte Simple Engagement Promise Wedding Ringr --This ring we offer engraving service,Please click"Customize Now"before you add the cart. DIMENSIONS:Width 8MM,Available size 9,10,11,12,13, Fit for most men's sizes.